Superintendent Paul Mullins has officially proclaimed October 21–27 as Logan County Safe Schools Week. Kentucky Safe Schools Week is set for this same week. This year's theme is “BE INCREDIBLE, Reveal Your SUPERhero!” Logan County Schoolsand Kentucky Center for School Safety stands on the belief that everybody should enjoy school equally and be treated with respect. Community members, educators, students and parents are encouraged to get involved during Kentucky Safe Schools Week. Being incredible is being the best you can possibly be. Every student has incredible super skills and talents that make them unique and strong. We need our students to ban together with school staff and the community to create a “family-like” culture at school. Incredible super powers can be used fighting against bullying, cyberbullying, harassment, conflict, hate and violence while spreading empathy, compassion and respect. Fighting to solve these issues may be as easy as leaving an online tip. Students can be a “Silent Hero” and help without fear of retaliation. As quoted from the Disney “Incredibles 2” movie: “It’s time to make some wrong things right, help us bring Supers back into the sunlight!”This year’s campaign highlights the word SUPER and the qualities necessary to bring "Supers" into the sunlight! 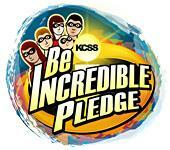 The Kentucky “BE INCREDIBLE, Reveal Your SUPERhero!” campaign is sponsored by the Kentucky Center for School Safety. This observance coincides with the national campaign. America’s Safe Schools Week is sponsored by the National School Safety Center. “I support and encourage all Kentuckians to get involved and help solve the bullying issues in the schools across our Commonwealth. Joining together, we can make a personal commitment to reduce intimidation and harassment in our schools, while we work to improve culture and build relationships.” said Jon Akers, Executive Director, KCSS.